Fried ice cream is one type of cool drinks dessert , is very popular in USA , Australia, Canada , france ,China etc, when you walked in shopping mall . 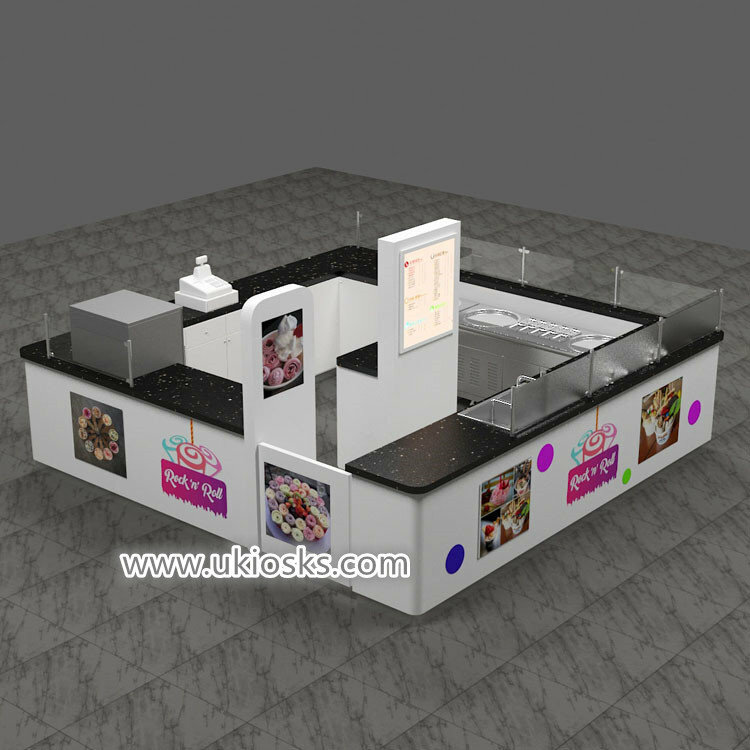 you will notice there have many booth for selling ice cream , yogurt , drinks snacks . today i wanna introduce a australia popular fried ice cream kiosk for your meet . let’s see more details together . Item : fried ice cream kiosk . Color : white . black . 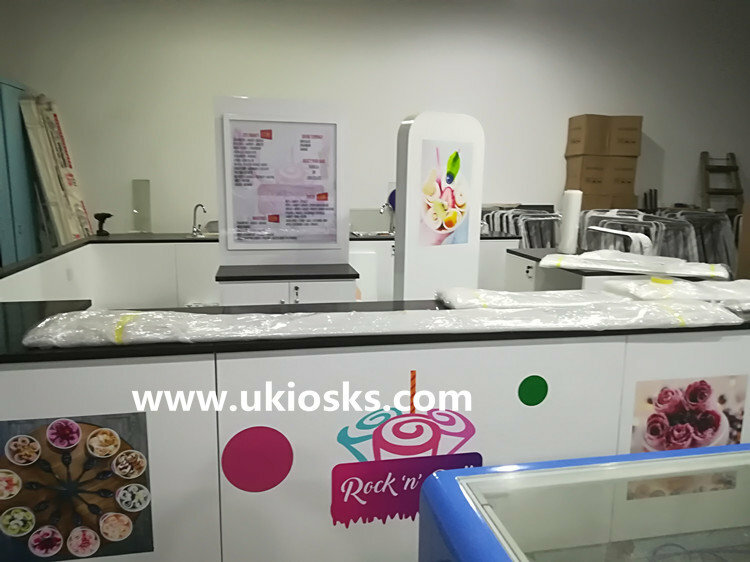 You can saw this fried ice cream kiosk mainly tone is white , basic material is MDF , surface is baking painting finished , match black man made stone worktop, below with wooden cabinet , outside with many poster and light box . it’s very simple and nice . 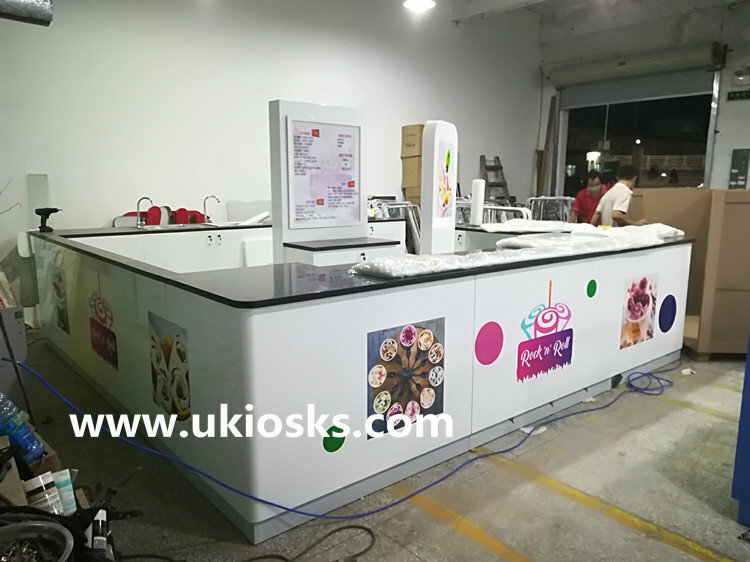 the front part with a cashier counter mainly for order , left sides with two fried ice cream machine , right sides with a beverages fridge , back sides with many stainless steel sink . 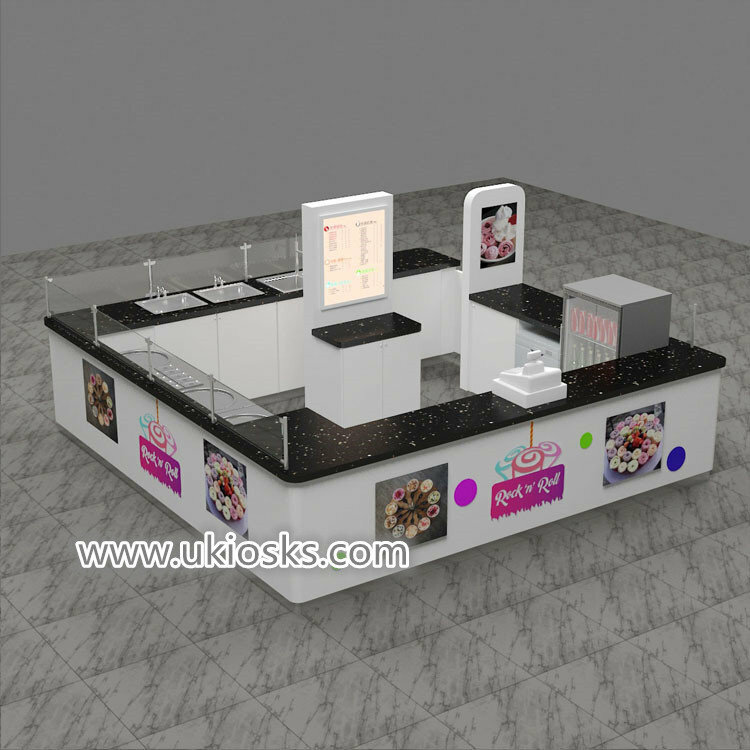 the kiosk layout and tone can customized depend on your like . 3.How can I order one fried ice cream kiosk design ?